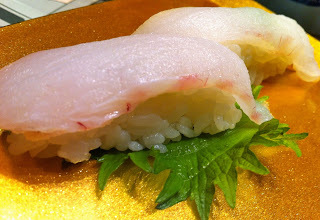 One of my favorites in Ion Orchard is Itacho Sushi which serves great quality sushi. The place is always packed though so you must practice some patience as you almost always will need to line up to get a seat. Service and turnover is fast so don't get intimidated by the long queue. First up for our table were the Super Jumbo Scallops Sushi (SGD 6.90 per piece). The scallops don't look exactly appetizing in my picture below, but boy were they extremely sweet and juicy. The taste and freshness were just amazing, so definitely worth the additional cost over regular scallops. On the specials/ sale menu that day was the Salmon with Soy Sauce Sushi (SGD 0.40 per piece). I was a little apprehensive trying out cooked salmon for sushi, but this came out very delicious. 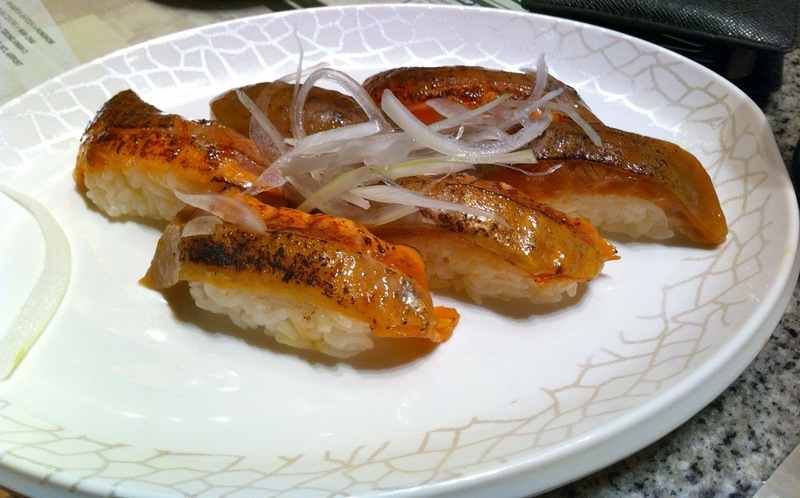 The sweetness of the soy sauce used to marinate this salmon added great flavor to the fish. And this was definitely a steal at SGD 0.40 per piece! 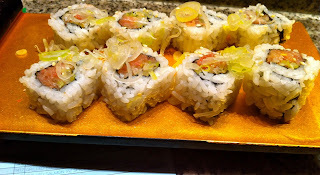 We also tried out the Fatty Tuna with Spring Onion Roll (SGD 7.00 for 4 pcs). This was alright, though the portions of fatty tuna were too tiny to really enjoy and savor the taste of the fish. I thought the cheaper, regular tuna would have been a more pragmatic option. 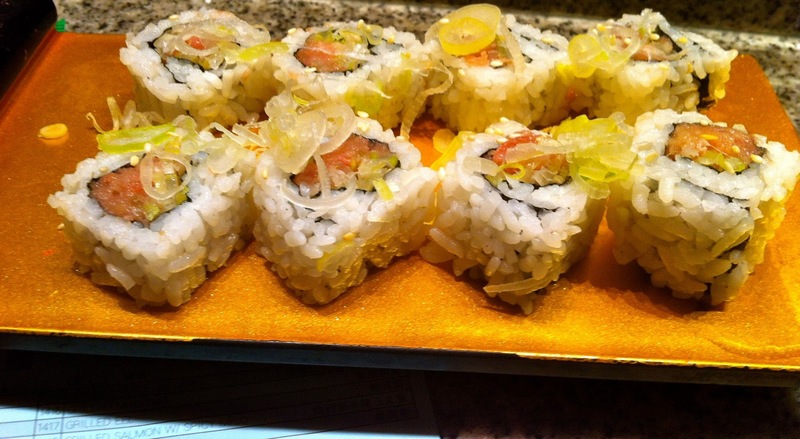 Last of our sushi orders was the Fatty Yellow Fin Tuna Sushi (SGD 3.00 per piece). This was alright, but I guess I have never really been a fan of yellow fin tuna so the fatty version was just the same for me. Since we could not really taste the fatty tuna on the sushi roll we ordered, we decided to get Fatty Tuna Sashimi (SGD 22.80 for 3 pcs). This sashimi was amazing -- really fresh and sweet. The tuna just absolutely melts in your mouth. I decided to chew very slowly to savor the taste. This is definitely a favorite. Itacho Sushi is definitely a favorite for me. I highly recommend this place for sushi lovers such as myself. 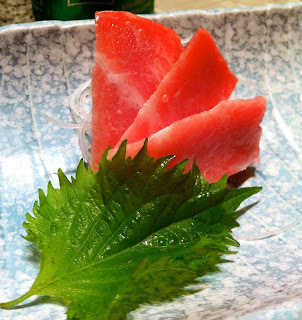 Some of the dishes are on the expensive side but definitely worth it for those who appreciate good sushi.